In part 1 of this article, we began examining the probability of avoiding jail in 1st and 2nd Offense DUI cases. We saw that with the exception of 1 Judge in the 48th District Court in Bloomfield Hills, a 1st Offender can safely assume that they are NOT going to face any Jail time. We next looked at 2nd Offense cases, and saw that, while Jail can usually be avoided in Macomb and Wayne Counties, things change if the case is pending in an Oakland County Court, and we also noted that, generally speaking, the farther north one goes, the worse things get. In this second part, we’ll pick up by looking at 3rd Offense cases, and we’ll wrap up by looking at certain general principles that apply in all cases, be they 1st, 2nd or 3rd Offenses. To begin, we should bear in mind that 3rd Offense (Felony) cases are an entirely different species from their 1st and 2nd Offense Misdemeanor relatives. Of course, part of that difference is that while 1st and 2nd Offense cases are Misdemeanors, meaning punishable only by a Sentence of either 93 days or 1 year in the County Jail, respectively, a 3rd Offense is a Felony that can carry a Prison Sentence of up to 5 years. Before anyone starts fearing being carted off to Jackson Prison to start a new career in License Plate Manufacturing, it should be noted that a Prison Sentence is usually reserved for people with far more than 2 or 3 prior DUI’s. The law does, however, require a person convicted of a 3rd Offense to serve at least 30 days in Jail. That’s not negotiable. The good news, if you can call it that, is that in Macomb County, a person who has only 2 prior DUI’s , and who is facing a “true” 3rd Offense (meaning it is only the 3rd time they’ve ever been charged with a DUI) can, if things are handled correctly, avoid a Felony conviction altogether. In other words, a “true” 3rd Offense, if things are done right, can be reduced to a 2nd Offense Misdemeanor (and can, possibly, also avoid a Jail Sentence). This is not an option in Oakland County, and is seldom, if ever done in Wayne County. This is almost entirely a Macomb County deal. As the reader may imagine, there are significantly more considerations involved in handling a 3rd Offense DUI. For all of them, however, avoiding or minimizing any Jail term is the first priority. Yet again, we make another County comparison. In Macomb County, anyone who is stuck with a 3rd Offense charge that can neither be “knocked out” by some evidentiary challenge nor reduced (perhaps because they have had 3 or more prior DUI’s) will most often look at a Jail term limited to the minimum 30 days, or at least closer to it. Wayne County is much the same as Macomb. 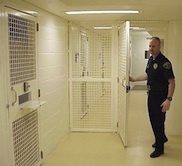 The fact of the matter is that the Wayne County Jail hardly has enough room to hold all the murderers, rapists and other really violent criminals it deals with, so the last think the Sheriff wants is to babysit DUI drivers who eat up valuable Jail space while having to let the violent criminals roam the streets. That does not always hold true in Oakland County. I have little doubt any reader who has read this far hasn’t already heard loads about Oakland County. It is no secret that this is about the last place you want to face any DUI, much less a Felony, 3rd Offense charge. Still, it makes little sense to deal with a 3rd Offense DUI and NOT do everything possible to make the outcome as good as possible. No matter where a person is facing a 3rd Offense Felony DUI, there are certain considerations that must be addressed. Just like in a 2nd Offense situation, a 3rd Offense DUI Sentence requires that the person undergo mandatory alcohol counseling. This also applies in Macomb County when a 3rd Offense is reduced to a 2nd Offense Misdemeanor. The thing to bear in mind, of course, is that anyone on the outside looking in will pretty much think that whatever counseling the person had for their 2nd Offense didn’t work. That may be unfair, but, at first glance, it certainly looks true. Beyond that, anyone who has 3 DUI’s has to admit that something is wrong. Statistically speaking, there is about a 100% chance they have a drinking problem. And chances are, it is likely a serious problem, at that. When you factor in that a 3rd Offense within 10 years mandates a 5 year minimum Revocation of the person’s Driver’s License, and you realize that, beyond the more immediate considerations of the Judge in the current case, the Secretary of State is going to conclude the person has a serious alcohol problem, then making the right counseling and rehabilitative decisions from the get-go is critical. There is more to avoiding or minimizing Jail than just a bunch of legal and strategic considerations, as well. The Lawyer should know the Judge to whom the case has been assigned, and know of any idiosyncrasies that Judge has about DUI Defendants. A good strategy for one Judge may well be the entirely wrong thing to do before another. In addition, and although this may sound all syrupy, it cannot be overlooked that Judges are human. They are, most often, family people. Unfortunately, in the day to day operation of any enterprise, from Medicine and Hospitals to Law and Courts, people (as in Patients and Defendants) can sometimes become more like files, or statistics, than living, breathing individuals with hopes and fears and dreams and families and lives of their own. It becomes my job to make sure the Judge sees my Client as a real person; as someone who has people in their lives that they love, and who love them, as opposed to just the case after the last, and before the next. This means I have to get to know the Client. In getting to know the Client, I can help direct them into proper counseling. In some cases, this may mean going to, or going back to AA. In other cases, the person may not be a good fit with the AA program. This “human” aspect of handling any DUI, and a 3rd Offense in particular, will allow me to paint a picture to the Judge that may have never otherwise been presented, and that can positively affect the outcome of the case. And when I say “positively affect,” I don’t mean that in some esoteric, meaningless way. I mean it in terms of “make things better,” as in avoid and/or minimize Jail and other negative consequences. As I have pointed out in some of my other articles, the single most important part of the DUI process is the PSI, or Pre-Sentence Investigation, and the mandatory alcohol assessment that is part of that process. It is here that a Sentencing recommendation is produced. And for everything else that can be said about any DUI case, it is a fair statement that in pretty much every DUI case, the Judge is going to follow the Recommendation of the Probation Department, which conducts the Pre-Sentence Investigation, to the letter, or darn close to it. This means, then, that preparing the Client for that PSI is the by far most important factor in producing a more favorable outcome. It is in this preparation, which involves things like finding the right kind of Counseling, that the real job of minimizing consequences is done. For my part, it typically takes a number of hours to do this with a Client. Usually, in any DUI case, my first appointment with a new Client lasts at least 2 hours. With some good, hard work, many of the burdensome and trying consequences of any DUI charge can be avoided, or at least minimized. Beyond just finding the right Lawyer, however, a person must be ready and willing to do the necessary work to make things better. The benefits of such efforts are huge, and the consequences of not doing things correctly can be devastating. It has always been true that nothing good comes easy. Good work is the key to good fortune. Good luck, for what it’s worth, is generally NOT part of the equation for anyone facing a DUI.